Rent a private jet and visit Munich (München), the capital city of Bavaria and world-famous famous for its architecture, culture, and the annual Oktoberfest celebration. Not only is it a major hub in Europe for art, education and tourism, but it’s a major German center for business and finance, and a popular destination for executive charter flights. Hiring a private jet into (EDDM, MUC) Munich International Airport is the most comfortable, secure and comfortable way to fly, and ACA is here to offer the highest standards in executive and leisure travel. Air Charter Advisors, the premier private air charter broker for executive and corporate jet rentals, offers on-demand private jet and helicopter charter service to/from Munich, Germany. We have access to thousands of private jets and turbo-props based in Germany and around the world, and we’re confident we can arrange the right aircraft for your trip, whether you’re flying internationally or domestically. Our company holds some of the highest service and safety standards in the private aviation industry, and that’s exactly what you want when working with a broker. ACA will be available 24 hours a day and 7 days a week to ensure that your needs are met exactly when needed, whether you’re in the United States or a resident of Deutschland. Our private jet charter company is Wyvern-certified, and all of the aircraft we use for flights to Germany are operated by FAR Part 135 or 121 (or foreign equivalent) air carriers. Our Munich Air Charter team offers personal, all-inclusive private air charter service to a variety of distinguished clientele, including C-level executives, VIP/celebrities, government officials, personal assistants and leisure travelers from around the world. 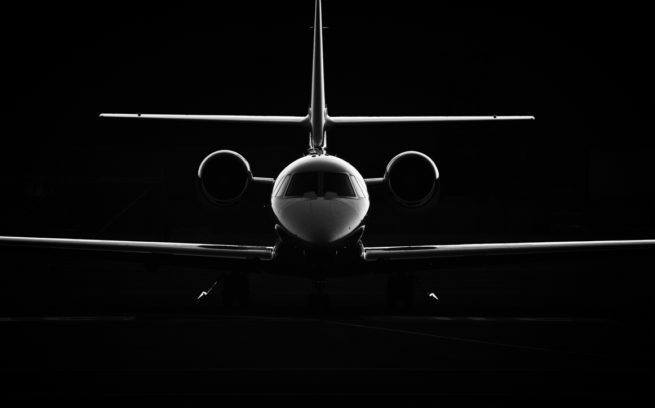 Enjoy the peace of mind you get from working with a broker you can trust, and let ACA become your local and global aviation solution for luxury air travel, aircraft acquisition and private jet management in Munich, Germany. Request a quote now, or give us a call to book your private flight. From arranging gourmet in-flight catering, luxury ground transportation, helicopter lifts and any other requests you may have – consider our Munich Private Jet Charter Service your one-stop shop for all things private aviation in Germany. Private jet clients typically arrive/depart at (EDDM, MUC) Munich International Airport, the second busiest German airport behind Frankfurt, and the seventh busiest airport in Europe. Augsburg and Manching are popular business jet hubs just outside of the city. After providing us with your trip details, we can help to arrange the right aircraft and flight itinerary that best suit the goals of your trip. Munich is one of the busiest private aviation markets in Germany, and our team has access to the following Wyvern-certified aircraft for your flight. Every business aircraft we utilize for charter service is operated by FAR Part 135 or 121 (or foreign equivalent) air carriers, using only veteran pilots in the private jet you’re renting. Munich is home to the strongest economy of any German city and it’s the economic center of southern Germany. 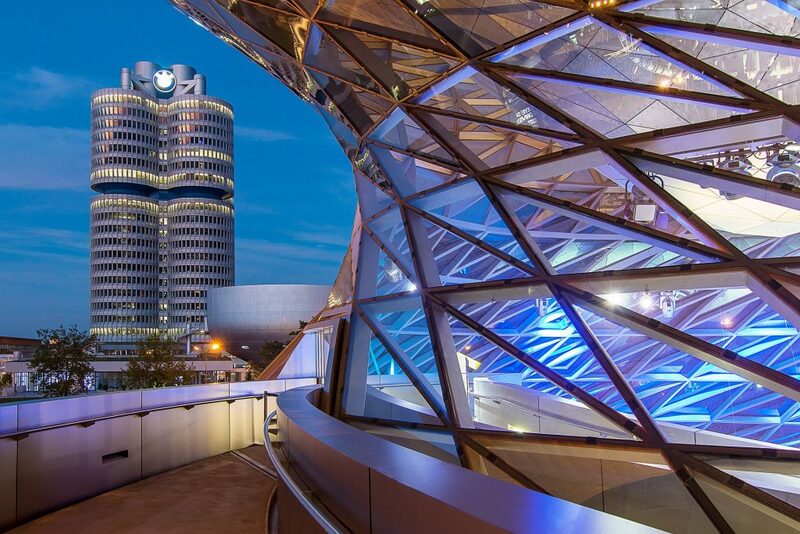 It’s a major financial center and a Global city, with major companies headquartered in the city including Siemens, BMW, MAN, Allianz and Rohde & Schwarz. 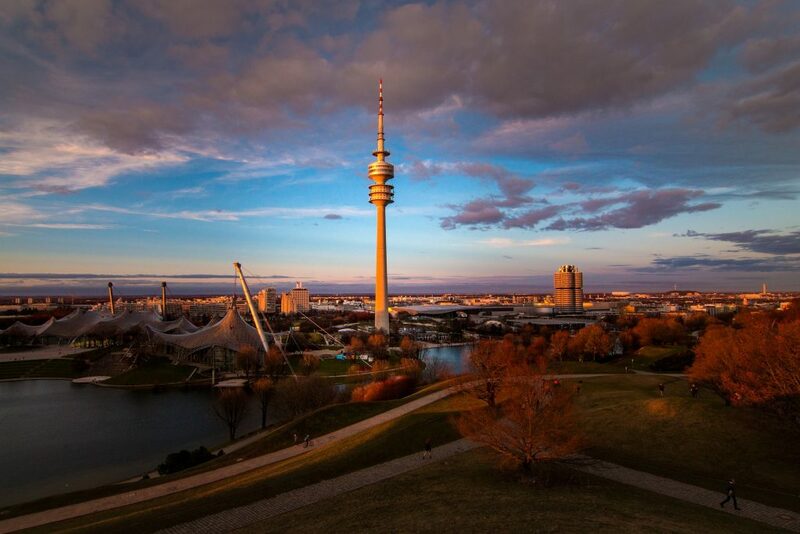 Munich is the top city in Europe for publishing, and a major broadcasting center in Germany. The city is also home to the Bavaria Film Studios, one of Europe’s largest production studios. Does your executive team need to charter a business jet to Munich, Germany? Air Charter Advisors can handle all of the details for your private flight! ACA provides competitive rates on a wide range of sleek business jets with executive configurations available, including essential amenities such as on-board Wi-Fi, spacious cabins and gourmet in-flight catering. No matter which type of aircraft you prefer, our business aviation team will be available to you 24/7 to help plan your upcoming executive flight to Munich, Germany. Charter a private flight and arrive in Munich, the Bavarian capital and one of Germany’s most popular destinations. Despite Berlin becoming the capital of Germany again in the 1990’s, Munich remains Deutschland’s number-one place for art, science and culture. The legacy left behind by Bavarian Kings leaves plenty of attractions and events for our private jet clientele to enjoy, including a beautiful, historic city center; an array of museums and galleries; the world’s largest beer festival, and Bayern Munich, the most famous and successful football club in Germany. 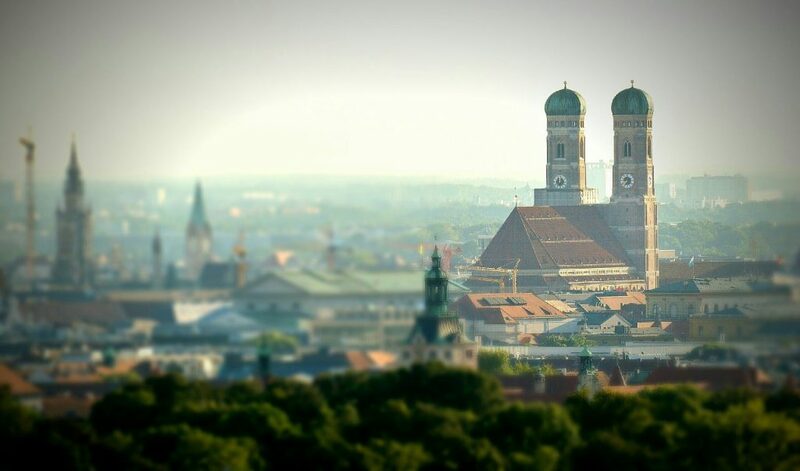 Many travelers are captivated by Munich’s stunning architecture, and although it suffered heavy bombing during WWII, many of its historic buildings have been rebuilt and appears as it did in the 1800’s, including the Frauenkirche, its largest church, and Neues Rathaus, its famous city hall. Traveling via luxury private jet to Munich, you can immerse yourself in a city with a cultural scene that is second to none, famous for beautiful architecture and the annual world-famous Oktoberfest beer celebration. 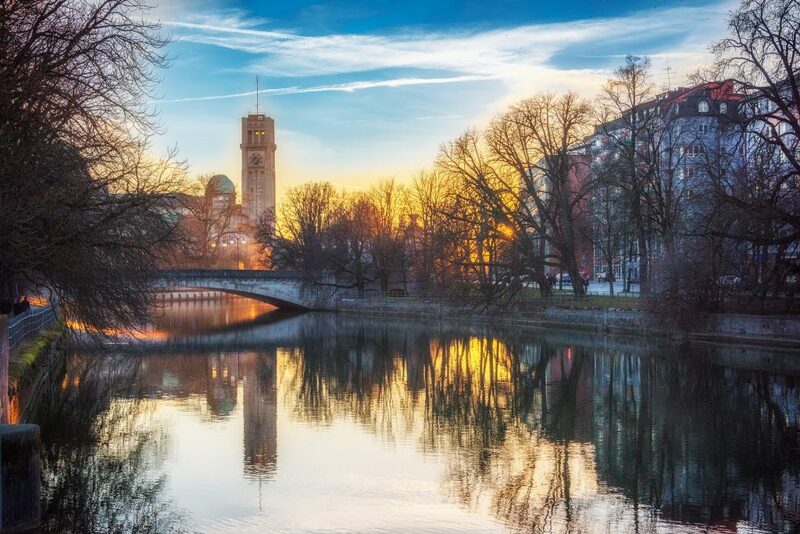 Munich is located along the river Isar, and is home to centuries-old buildings and numerous museums. It’s a major cultural, technology and educational center, and it has one of the strongest economies in Europe. Beer fanatics can indulge in boot-sized drafts served in cavernous beer halls, and should start by heading over to the Hofbräuhaus, serving the best in Bavarian hops since 1589. 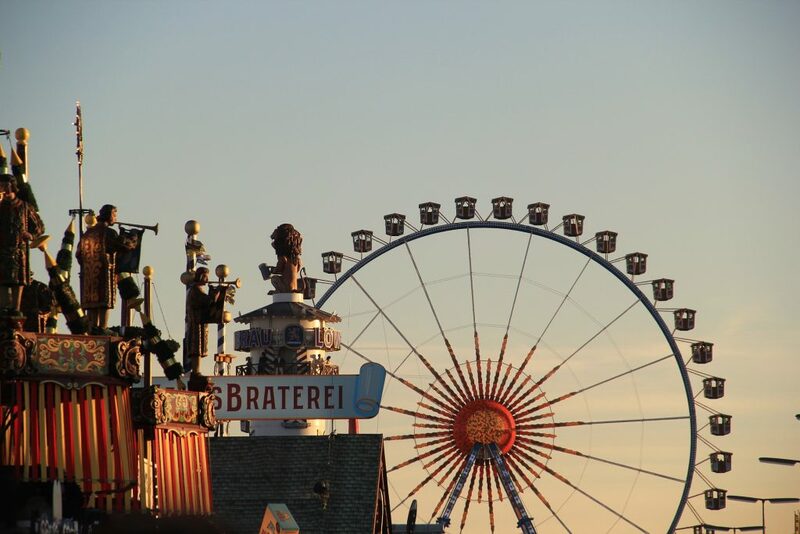 Check out more of our recommendations for luxury travelers staying in Munich, Germany. The Bavaria region has a continental climate thanks to its proximity to the Alps – summers in the city are warm and pleasant with an average maximum in the low 70’s, and last from May until September; winters last from December to March, and while the city experiences cold winters, heavy rainfall is rarely seen in the winter. Munich, the capital of Bavaria and located in southern Germany, is the country’s third largest city. 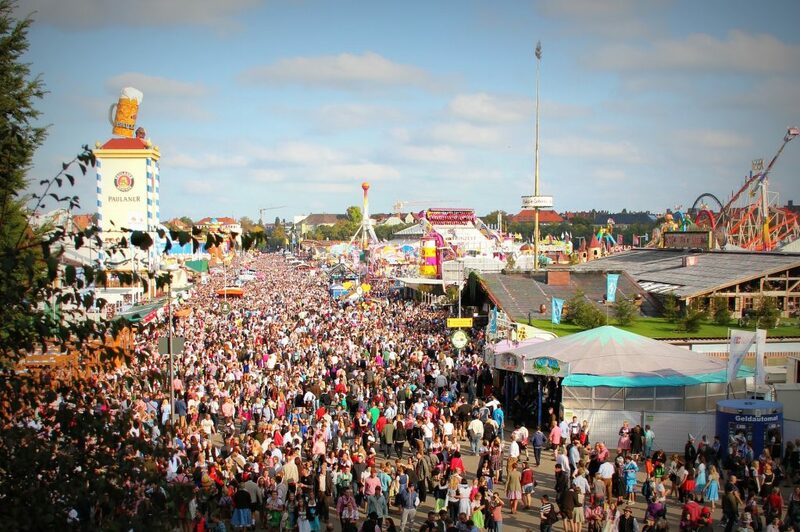 Enjoy flying across the Atlantic on a private luxury jet to Munich (München) in the fall, where you can experience the famous German tradition “Oktoberfest” in the beer festival’s hometown. Many five-star hotels and resorts are available, where you can enjoy the benefits of staying at one of the city’s top accommodations. The Hilton Airport Hotel offers an upscale, convenient five-star stay for business jet travelers. Those chartering a luxury private flight for a vacation getaway can experience all the Bavarian capital has to offer by staying at any of the following luxury hotels. Air Charter Advisors utilizes the following airports to fly clients privately to/from Munich, Germany and neighboring areas of Europe. Request a Quote or give us a call at 1-888-987-5387 to speak with one of our Munich Private Jet Charter service brokers for your next luxury vacation, business trip, or special event.